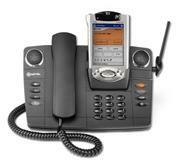 The Mitel 5201 IP Phone is a basic entry-level IP phone for easy access to telephony and messaging services. 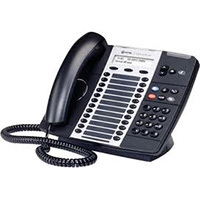 The Mitel 5201 IP phone addresses a new segment of the market, meeting the need for a low-cost single-port desktop IP telephone. 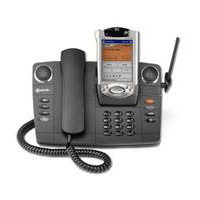 The Mitel 5205 IP Phone is an entry-level, single port, multi-line, user-programmable IP speakerphone with an easy-to-read backlit display. 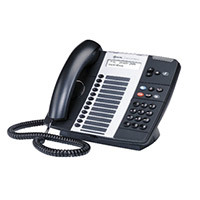 The Mitel 5205 IP Phone is designed primarily for users requiring multiple line appearances and feature keys. 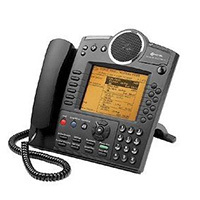 The Mitel 5207 IP Phone is an entry-level single port multi-line, user-programmable IP speakerphone with an easy-to-read backlit display. 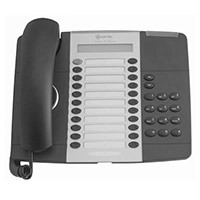 The Mitel 5207 IP phone designed primarily for users requiring multiple line appearances and feature keys. 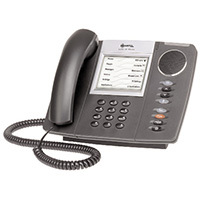 The Mitel 5212 IP phone supports SIP and MiNET protocols. 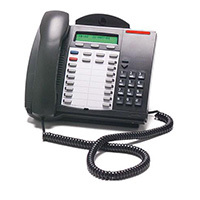 Handsfree speakerphone operation (half duplex). 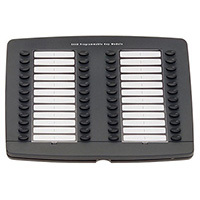 Twelve programmable multi-function keys with dual-color LED indicators* (for speed dialing, line appearances, feature access). Eight function keys: Hold, Superkey, Message, Speaker, Mute, Transfer / Conference, Redial, Cancel. Two-line, 20-character white, backlit, graphics display with contrast control and auto-dimming. 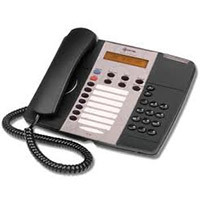 Superkey programming for easy access to telephone system features. Page Send / Receive. Teleworker application support. On hook dial. Off-Hook Voice Announce and Handsfree answerback. Dedicated headset jack. Do Not Disturb. Speed calling. Call forward. Call hold (Place / Retrieve). Call transfer. Conference call setup. Voice mail access – large message waiting lamp. Last number redial. Browser-based desktop configuration tool. Automatic Call Distribution (ACD) agent support. Customizable center panel. Hearing Aid Compatible handset. Two-position, 35 degree tilting stand for better viewing angle. Wall mountable. Multiple powering options (802.3af compliant). 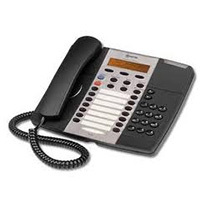 The Mitel 5448 PKM provides 48 additional feature keys for a Mitel 5220 IP Phone. 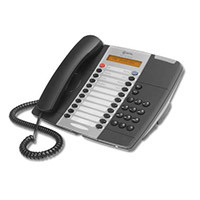 The Mitel 5448 can be programmed as feature keys, speed call keys, Direct Station Select keys, or line appearance keys. 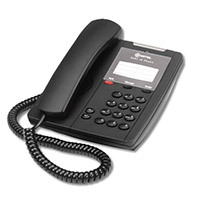 Each key has a Line Status Indicator that works the same way as those on the associated telephone. The keys can be programmed through the telephone set. 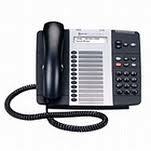 If we do not list the Mitel IP Phone that you want, click for a QUOTE below - we carry most Mitel phone models.